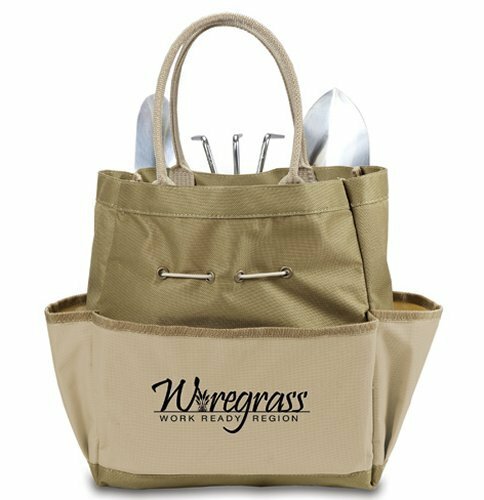 The Large Garden Tote combines convenience and practicality to give you a gardening tote you will want to use all the time. It comes with three metal gardening tools secured in an easily accessible exterior pocket. Attractive and durable fabrics with a stain-resistant interior make this tote the perfect gift for those who love to garden. 1 Polyester canvas garden tote with carry handles, 1 digging trowel with wooden handle, 1 planting trowel with wooden handle, 1 garden cultivator with wooden handle.